Lately in Sweden the media has written about accidents where phone batteries and chargers have exploded or caught fire when charging during the night. Therefore I don't charge during the night anymore. So the other night I was charging my one year old GS5 phone before going to bed. 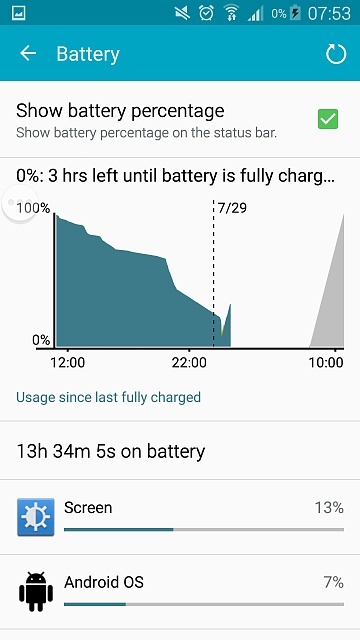 I stopped charging at 50 % or so (I didn't have time to charge it fully). I turned on power saving mode with the "restrict background data" to save as much battery as possible. I also set my alarm. Then I locked the phone and went to sleep. The battery history showed that shortly after I stopped charging and had turned on the power saving mode, the battery drained to 0 % in matter of a minute or so. Very strange. This has happened to me before once. My battery overall has been draining pretty fast lately, but not in this kind of scale. What is wrong? Is it my battery or my phone? The telephone is not rooted and is a Galaxy S5 from August 2014. The battery and charger are all original products from Samsung. 3. 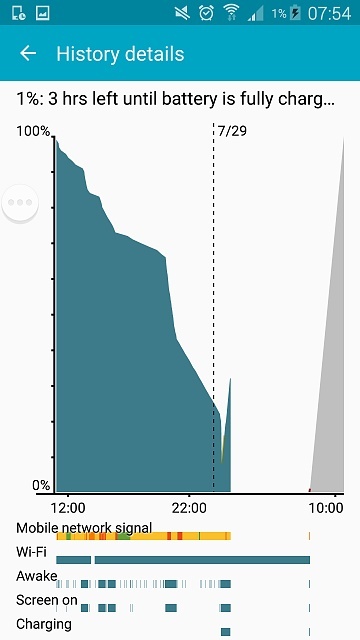 From the graph, it looks as if your battery is throwing a small dendrite - that's the little drop almost to zero, then the rise back to more power than before the drop. Lithium Battery Dendrite links explain what they are and what the industry is doing about them (when a US$5,000 electric car battery throws a dendrite under warranty, the manufacturer isn't too happy). So far, they seem to have a few things they might look into, but no ideas of where to definitely look for a solution. 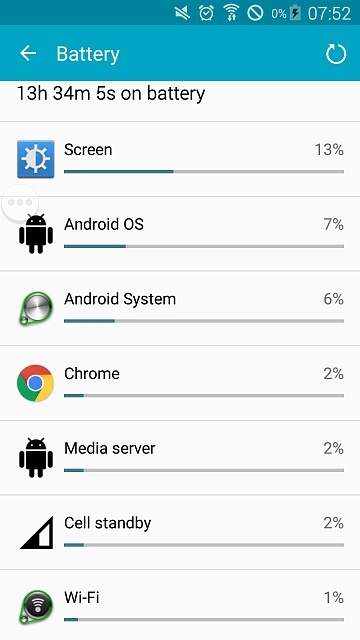 An S5 battery is cheap, if you have to get a new one. Samsung galaxy s6 active random dialing and texting. How to transfer contacts from car to phone? Do latest versions of stock Androids have a built-in podcast app, similar to iOS and Windows Phone? How do I get rid of the red underling on my LG phone messaging? Why won't my phone allow me to send a video?